Online ordering menu for Leonardo's Pizza Chalfont. Come to the new pizza shop located in Chalfont, Pennsylvania! Looking for a great gourmet pizza or a grilled chicken caesar salad? 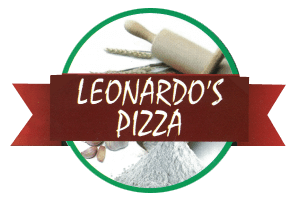 Look no further than Leonardo's Pizza located in the heart of Chalfont. Our grilled cheeseburgers, gyros and hoagies are the best in town. We have a huge selection of great Italian food and different pizzas including the New York, Chicago and Sicilian Style Pizzas! Gourmet Pizzas include Philly Cheesesteak, Buffalo Chicken, Margherita Pizza and Bruschetta. We have all the Italian favorites such as Calzones and Stromboli! We also serve huge Italian Platters that come with a side of bread and salad. There is no need to travel to Philadelphia for a Philly Cheesesteak because Leonardo's has the best Cheesesteaks around! We are located near the intersection of Main Street and Butler Avenue. We are just a few miles from Delaware Valley University and the Pinecrest Country Club. Order online for carryout or delivery!